What if you had the same recurring dream, the same nightmare all so often? Imagine having to go to bed every other day wishing the dream would not come, yet knowing perfectly well that it will. Imagine waking up shivering and being scared to go back to sleep. And imagine yearning to, yet never knowing the meaning of this dream.˃˃˃ EmmaEmma should have been the happiest person around. She had everything, money, friends, a big house, a successful husband, a loving mom. Yet, everything was not as it seemed.˃˃˃ SaraSara had had a long, eventful life. At 83, she'd seen it all. Born to holocaust survivors, she felt blessed to have had a wonderful married life and a sizable fortune. She missed Adam though, her beloved husband who was now no more. She was lonely, but no one could guess the secrets she bore, and pledged to take with her to her grave. Fate had other plans though.˃˃˃ DikaDika believed the worst was over for her. The Gypsy girl had been married off to an abusive man at a tender age and had gone through all what a woman could ever bear before gathering up the courage to run away. In her job as a masseur she had found her freedom at last and life seemed so different from what she had experienced as a child.She had her set of dreams about life, much grander and much happier, but those were just dreams. 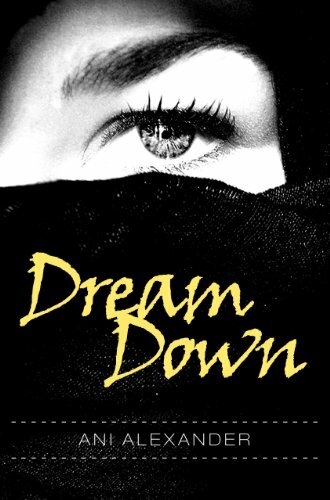 She never expected them to happen, at least not this fast.In this page-turner, dreams, secrets, betrayal, love, compassion and hope all get intertwined as does the lives of these three women. Gypsy magic plays the role of the hand of destiny in all beautiful way which adds to the drama.Will Emma ever find the meaning of her recurring nightmare? Is she ready for it yet? Will Sara survive the biggest test yet in her long life, that of letting go of her secret?Best-Selling Author and two- time NaNoWriMo Winner Ani Alexander keeps us guessing in this beautifully crafted, thought-provoking novel.Scroll up and grab a copy now!